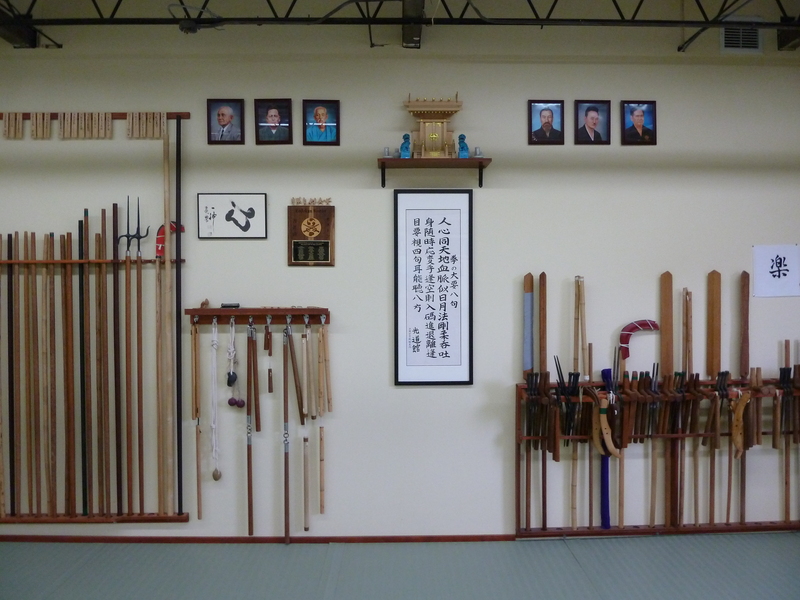 The Koushinkan, or “hall of the open spirit” is our purpose-built dojo. After 20 years training in a variety of rented spaces, it was time for our own place. In 2009, after a great deal of work by all our members and a lot of friends and family, we built out the space and moved in. The dojo has a custom-designed sprung floor, plenty of training space, and holds all the traditional equipment we use in our training. The space is a symbol of the community we train with, and is a fantastic training space for our arts. Its name comes from a saying of Higa Seiko’s: kokoro wo hiraite, renshuu wo tanoshimu; Open Mind, Joyful Training. It is our motto here at Kodokan Boston, and given the effort of so many members that went into building the space and the openness we try to approach our training with, it seemed the perfect inspiration for our dojo’s name.